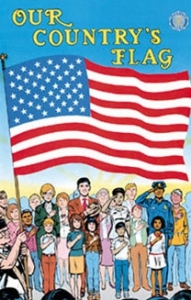 This 20-page educational comic book explains the history, significance, and proper treatment of the U.S. Flag. The comic book's dimensions are 6-5/8" x 10-1/4".